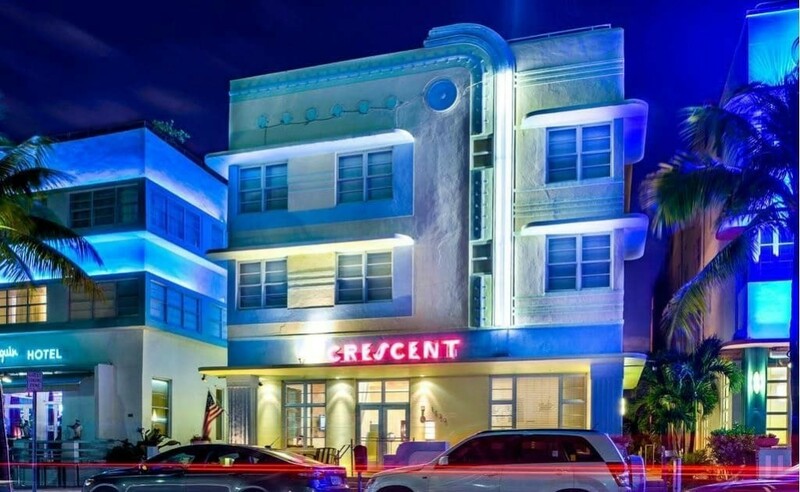 The Crescent Resort is an Art Deco Hotel located on Ocean Drive in the heart of South Beach. Technically this is known as the Crescent Resort, we think they’re stretching things a bit calling this a resort, in reality it’s much closer to a condo rental. 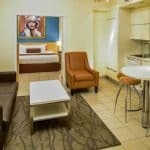 This Boutique Hotel has 25 rooms and they are larger than most rooms in the area and all come with a kitchenette. There is no pool at this location but there is a Rooftop Sundeck. Miami Beach is a 5 minute walk across the street. 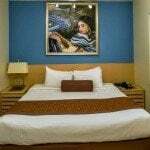 This hotel is a little south of Central South Beach so most things will be in walking distance but you may want to take a cab to anything north of 16th Street or to Lincoln Road Shopping. Ocean Drive tends to turn into one giant street party at night so expect things to get noisy and stay noisy well into the night. This hotel is not pet friendly and is not a family friendly hotel. 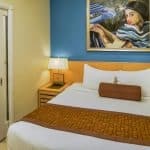 This hotel is best suited for someone who wants a South Beach Hotel close to the nightlife, and doesn’t mind not having a pool or having to cross the street to get to the beach. Hotels similar to this include The Edgewater, Congress Hotel, and The Penguin. A taxi from Miami International Airport to the Crescent Hotel should be $60. 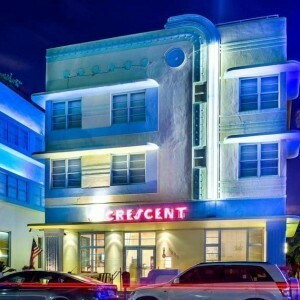 A taxi from Crescent Hotel to Central South Beach should be $15.